When your team is out on the water, getting from point A to point B is all about communication. A successful sail will depend on direct, honest, and efficient communication between the skipper and his or her crew. Does your team need some work on communicating in a more efficient manner? Have each of your employees take their turn as the skipper and have them lead the team - this will instill a sense of confidence in your team members and facilitate excellent communication. A popular option is for the manager to not take the role as skipper and instead let his or her team members take the lead and give orders to the manager - it’s a great way for members of your team to build up their confidence when it comes to communication! A little bit of a healthy competition is a great way for your team to focus on working towards the bigger picture. 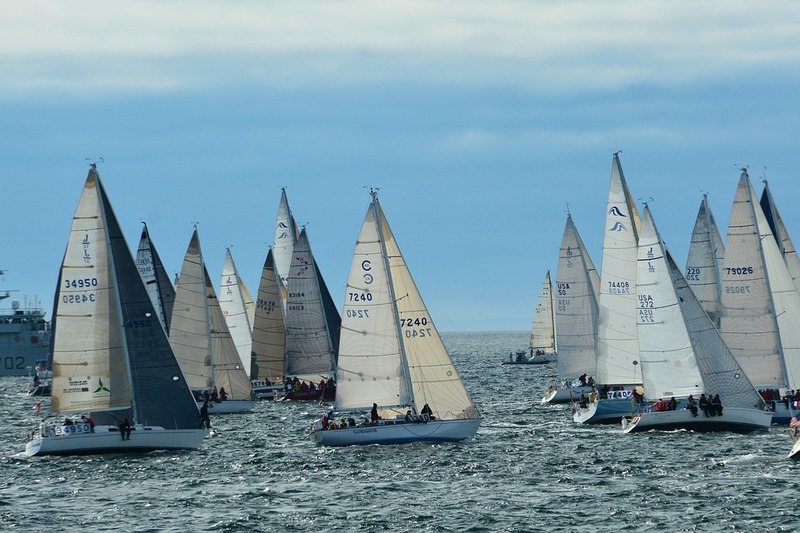 Encourage a bit of competition among your team members by participating in friendly sailing contests with your team. Races and obstacles can be set-up to encourage competition among you and your team. A successful trip on the water with your team will be all about TEAMWORK! The shifts in the wind will demand that your team works together and focuses on creating synergy. Every member of the team will have to play their part, otherwise the whole team runs the risk of failing. Casual sailing and boating is an activity for everybody. No special skills or athletic abilities are required. All ages and athletic abilities are welcome aboard for an afternoon of productive fun and team building. Sailing and boating also lets members of your team go at their own pace - they can choose to participate as much or as little as they want. Spending quality time together is the ultimate goal of a day out on the water and the relaxing nature of boating and sailing will bring out the best in everybody on your team! After a day of sailing, your team will be proud of their accomplishments and the new leadership skills that they have developed and discovered. 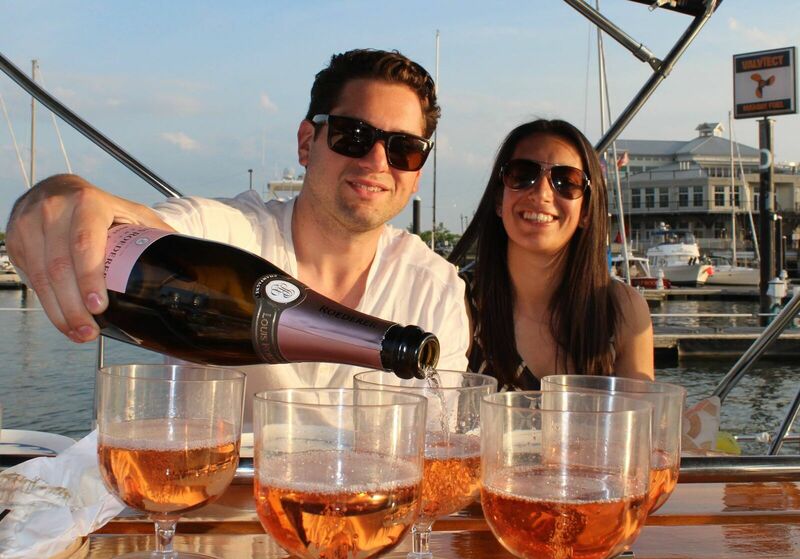 Spend the evening sipping champagne at sunset or enjoying happy hour on dry land. Sailo has plenty of options for your team and packages can be customized to your exact needs. If you are interested in an experience that is close to New York City, we highly recommend the experiences that Dawn is offering on the Sailo website. She can provide your team with a team-building experience that can last anywhere from 2 hours to 2 days and can accommodate teams of 5 to 75 people. 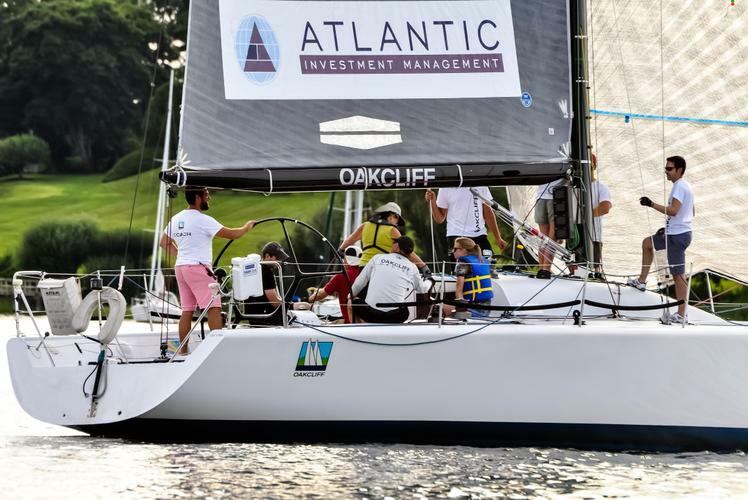 For those teams that are looking for a truly unforgettable experience, Hans is offering team-building experiences on his America’s Cup sailboats (boat 1 and boat 2) in Greenwich, CT. The boats can both be rented and a match race can be staged between two competing boats - the ultimate in team building. Both of these options would be absolutely unforgettable for your team. Networking and team building is much more memorable on...a...BOAT!